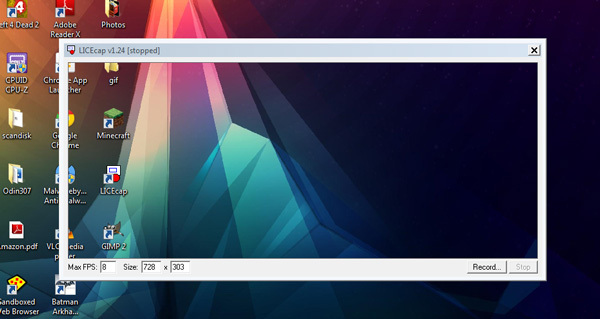 Although there are many popular GIF screen recording tools, I prefer using LICEcap as my primary tool to record my computers screen. The main reasons being, LICEcap is a free to use program which is available for both windows and the Mac operating systems and size wise it’s only a 300KB download for the windows version and 600KB for the Mac, which makes it ultra portable. Now you can upload the animated GIF on the internet or even share it on a social network with your friends. Some free alternatives for this program would be QGifer and Instagiffer. if ou want more features, you can even go for the paid version of Camtasia studio. Here is an animated GIF that I recorded using LICEcap.